There are many women preachers/teachers/authors out there these days who have “special revelations” from God. God spoke to them, they claim, as if God’s Word isn’t enough for them. Many women love these women preachers, attend their conferences, and believe these Jezebels must be so godly because they “hear from God” even though most of the women in the audience never do, thus they feel inferior and less godly. These Jezebels falsely believe that the words they heard from God are for others so they preach/teach and even write books about Jesus talking to through them. Beware, women! Hebrews 1:1, 2 is clear that God in times past spoke through prophets but in these last days, He has spoken through Jesus Christ. “God, who at sundry times and in divers manners spake in time past unto the fathers by the prophets, Hath in these last days spoken unto us by his Son, whom he hath appointed heir of all things, by whom also he made the worlds.” Everything we need for life and godliness are in His Word and we are warned at the end of Revelation about anyone adding to or subtracting from His Word (Revelation 22:18, 19). This description sounds a whole lot like a lot of the women preachers today that we are told to not have anything to do with. God doesn’t want women preaching and teaching the Word of God. He wants men to do this. He gave this ministry to men, not to women. God is clear what He wants women to teach other women; the ways of godly womanhood and these Jezebels never teach about the principles of Titus 2:4, 5 as far as I can see or have heard. They act so spiritual. They stand up in front of churches behind pulpits. They are loud and commanding in the way they speak. They make up new words that sound spiritual but are not biblical. They leave their homes, husbands, and children to “minister” to women. You won’t hear them teaching about submitting to and obeying their husbands or being keepers at home. They won’t exhort families and churches to care for widows so they can be home with their children. I doubt they will ever mention that women are to be silent in the churches and if women have questions to ask their husbands at home. Forget about the exhortation that women are not to teach nor be in authority over men. No, these important topics for women will most likely never be heard from these Jezebels and we wonder why the Church is so weak and ineffective today. How timely your message is for me today! I have been following an older woman teacher for quite some time, but have felt a certain disquiet in my heart as of late. After reading your latest message I have realized that this teacher is in fact a Jezebel! She says that she is teaching from the Word of God (and can back up her teaching with Scripture). But when I read between the lines, I realize that she is just spreading gossip, or “grabbing onto falsehoods” as you put it. Moreover, her teachings are geared toward men as well! Indeed a Jezebel. We must be wise as serpents and innocent as doves, Sarah. The way to know a Jezebel or someone who is teaching false teaching is to know the Word of God by reading it ourselves and listening to godly men teach it to us. We must hide His Word deep in our hearts. Lori, thank you for writing this. It is a growing concern to me and to others as well. I started to get pulled in to this whole phenomenon a few years ago. I bought a ticket to one of these “conferences” with one of the best known women preachers (no need to name her). About an hour into the evening, I started to get uneasy. Everything was so slick and so calculated, I felt like I was being subjected to an advertising campaign or a sales seminar. There was a definite formula being used by this woman. She would begin so quietly, then gradually raise her voice, turn on the tears and begin shouting until everyone was on their feet. Then the process would begin again. I thought it was just the opening of the conference, and I waited for the real “meat” of the gospel to be shared. It never was. I went home feeling disillusioned. When I walked in the door, my husband had looked up some of the teachings of this lady, and what he found disturbed him. I apologized for spending his hard-earned money on this conference and then coming home early, but he was glad that I had left in light of what was being “taught”. What I learned from this was not judgement, but discernment. I learned that if we are presented with anything but the living water of the gospel, we have the obligation and the right to turn away from it. I am now very wary of those who appeal first to my emotions; they are selling their products, books and podcasts. Have discernment and save your money, ladies! Women preachers will never appeal to me in the least and they seem to be growing in number quickly, unfortunately. Oh how timely your teaching is. Jezebels are everywhere. And few are teaching about them. With God’s Word being our final authority in everything or should be, it seems few want to listen these days, always looking for the next prophetess preacher that has the newest revelation. I’m encouraged when I read your teachings as I know others are too. I am thankful that there are still women who wish to please Christ by teaching the younger women as you are. May more rise up to do so. Keep teaching it straight without excuse! Thank you, Dena, and my only goal is to teach what the Lord has clearly given me to teach. I will never understand why anyone needs a newer revelation when we have His perfect, inspired Word. Who are some men preachers that you listen to, HH? I have shared mine before but I would love to hear who you enjoy! The only one I am listening to right now is Michael Pearl. I started listening to him a couple weeks ago, but thankfully he has many teachings on the website. I don’t know where I will go from there. I’ve seen you mention several, and once I finish listening to Mr. Pearl, I figured I would venture out to more. Who is your favorite? Oh yes, Michael Pearl is our all time favorite preacher. We have learned who we are in Christ and all He accomplished on the cross for us through Michael’s thorough study of Romans and Hebrews which have become my favorite books of the Bible. He is a very wise man. We also love Charles Spurgeon and read his devotional every morning. John MacArthur is good, along with John Piper, and Voddie Bauchaum. But since learning from Michael Pearl, it’s easy for me to understand the Word as I study it now. I love it! Of course, the Bible is our favorite book of all! I listened to the Romans study while I was cleaning, and even though I didn’t sit down and really focus on it, I learned so much. I was also reading in Romans during the time I was listening to it and when I would read a chapter, it all made so much more sense! I definitely learned allot. I will have to jot those names down for future reference, thanks! Oh, yes, Katy, you have mentioned some other great preachers and some I have never heard of. I will have to listen to them. I also love to read the books by the women you mentioned. Nancy Campbell is amazing too! “The Other Side of the Garden” is a fabulous book on marriage and covers all of Titus 2:4, 5. Whenever I hear of a good book on these topics, I will read it because I always love learning from other godly women! Lori, I just finished a book today called Free To Stay At Home by Marilee Horton. Have you read it or heard of it? It is so good! It’s based on Titus 2. It was written in the 80’s but her teachings reminded me so much of yours. I love reading and learning anything about being a keeper at home and this book quickly became one of my all time favorites. I do have this book, Summer! 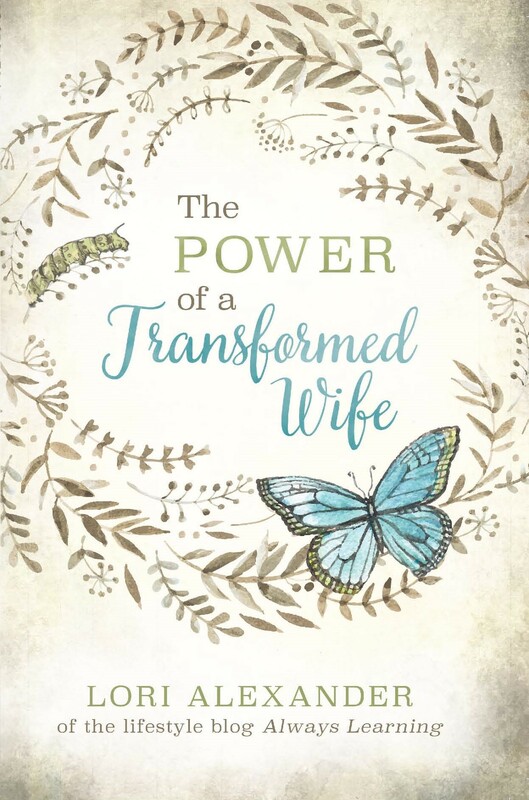 I read it a while ago but I, too, love the books written about godly womanhood. We need all the encouragement and inspiration we can get since it’s so contrary to what we hear almost everywhere else. God used a woman preacher to lead me to Christ. Joyce Meyer. I learned about submitting to my husband from listening to her preach from the bible. Her teachings are bible based. I never even opened a bible until I began listening to her. I also go to church now. God can use anyone or anything to lead people to Him, Monique, but it doesn’t mean what Joyce Meyers is doing is right. It’s not. I listened to her for a while years ago and she said that women are allowed to preach because of Mary Magdalene and other women going to preach the “Good News” of Christ’s resurrection from the dead to the Apostles. No, Mary and the other women didn’t “preach” to anyone. They simply shared with the men what they had seen and was told to tell them. The Bible is very clear that women are not to teach nor to usurp authority over men. God gave men (deacons and elders who are the husband of one wife) the role of preaching/teaching the Word. I cannot confirm what I’ve heard about Joyce Meyer since I have not taken the time to listen to her, but from what I’ve heard she is part of the Word of Faith movement which holds beliefs about accessing faith through speech with the expectation God will obey the sinner. Also toes the line with promises of weath, health and prosperity. If that’s the case the gospel is missed completely. Do you know anything about this Lori? Preaching is standing up in front of the church and teaching the Word of God to a congregation of believers with the authority given by God. Telling is simply talking to someone and sharing something. They are completely different things. Alistair Begg is a good one to listen to. I’m not a Calvinist like he is, but my husband and I still get a lot out of his expository preaching. Peace to you, in Jesus name! 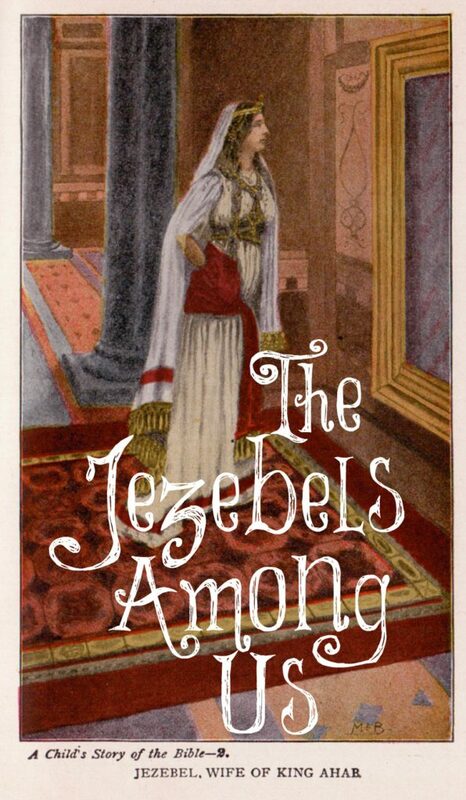 Hi Lori, I thought you might be interested in this article I wrote last year on the use of ‘Jezebel’ among Christians to depict women in leadership (and other women). I’d be grateful for your thoughts on it. No one here should read ANY thing that this blasphemous woman has to say. She is a Jezebel that Lori is warning you about. She considers herself a church planter and a senior pastor. This one quote (from one of her articles talking about leadership in the church) should tell you everything you need to know about her. I agree, Trey. This is why I haven’t published her YouTube. It tries to argue that headship is not leadership. Today, for some reason, many are trying to convince me that women can preach, teach, and hear special revelations from God. It’s sickening how they twist the Truth of God’s Holy Word to push their deceptions onto others who will be easily led astray. I agree with both of you, Lori and Trey. When scripture is viewed as a whole from Genesis to Revelation, one begins to see the unique roles God has for women……and for men. If we as women do not obey what God commands and the principles He’s given, then we really do blaspheme His Word, and hinder the giving out, and the living of, the Gospel. For the women who truly do love the Lord, that thought alone should stop us dead in our tracks when we want to get around or go against God’s Word!!!!! It is interesting, and very tragic, that the church of Thyatira in Rev. was commended for many great things….. their works, their service, faith, and perseverance. But when this “Jezebel” was allowed IN THE CHURCH to practice disobedience, the result was disastrous to that body of believers. Other churches and believers “who have not known the depths of Satan” (wow!!!!) were warned about this church. (Rev. 2:24) Personally, I’m challenged with the thought that….. how I live my (womanly) life in the light of what God teaches in His Word, is a direct reflection of how holy I believe God is. Very well stated, Redeemed. Thank you and there are many Jezebels today that have no problem preaching in the churches and calling themselves preachers. They are doing things they ought not to do and are going against the clear teachings of the Word. Many have attacked me because of this post and they are cruel and haughty with their name calling and pride. It’s so ugly and contrary to how God commands women to be. Lori thanks you for your kind remarks Rafael. You are very kind, but really you and I know that what Lori is writing comes right out of the Bible where so many say they want to follow God’s Word, but really they just want to be comfortable in their sin. Sacrifice for the Lord Jesus is lost concept in our modern American culture, and perhaps you see more sacrifices where you live. The translations you can get online now are pretty good, and often Google Chrome will translate articles right in the Browser. It will not be perfect but good. I have seen that some people in other countries are translating Lori’s Blog posts and reposting them in their countries languages. I do not know if any are in Spanish. The concept of submission as found in God’s Word is not a new concept, not one that wives should fear. Most Christian husbands are not trying to be controlling or difficult, they just don’y want their wives controlling them. Michael Pearl is fantastic! If you want to grow in the faith greatly listen to all of his commentaries. He is so good. May the Lord bless you richly and I suggest that you translate a few of Lori’s posts with Google Translator and give them to your wife. May the Lord bless you richly and may you be restored in your marriage so that you can grow old together, as God intends for you. are women allowed to prophesy? i know women are not to lead men but is prophesy to other women ok? i know women’s ministry to other women is allowed as per the Bible, is that ministry allowed to include prophecy? Put “women prophesying” in the search engine of my blog and you will find a post about it.